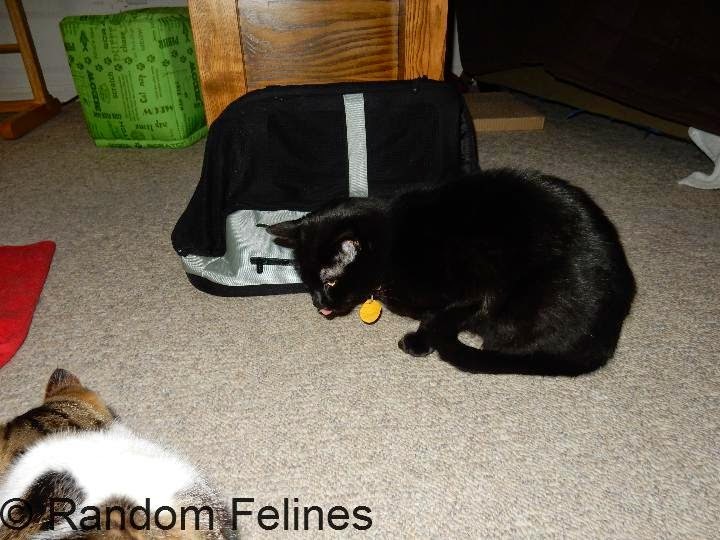 This post is sponsored by Only Natural Pet, and the BlogPaws Professional Pet Blogger Network. 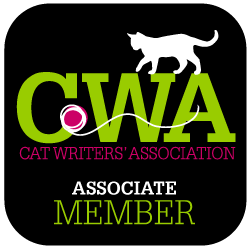 I am being compensated for helping spread the word about Only Natural Pet Feline PowerFood , but Random Felines only shares information we feel is relevant to our readers. Only Natural Pet is not responsible for the content of this article. Well, far be it from us to turn that down. Turns out that a holistic vet has formulated a new natural cat food (available April 1) called Feline PowerFood™ that is pretty much allergy free - no gluten, no grains, no wheat or corn. And made in the USA. Only Natural Pet is an online store specializing in high end foods and supplies. But this new brand is formulated specifically for them. "Packed with protein, amino acids and essential fatty acids, the PowerFood™ is formulated using the whole prey model of our cats ancestors. Feline PowerFood™ comes in two formulas, Fish and Fowl Dinner and Poultry Dinner (an indoor cat formula), rich with the nutritional benefits of fresh meat, wholesome fats and balanced calories. Kittens and adult cats will benefit from the grain free, highly digestible diets designed for a cat’s optimal health." 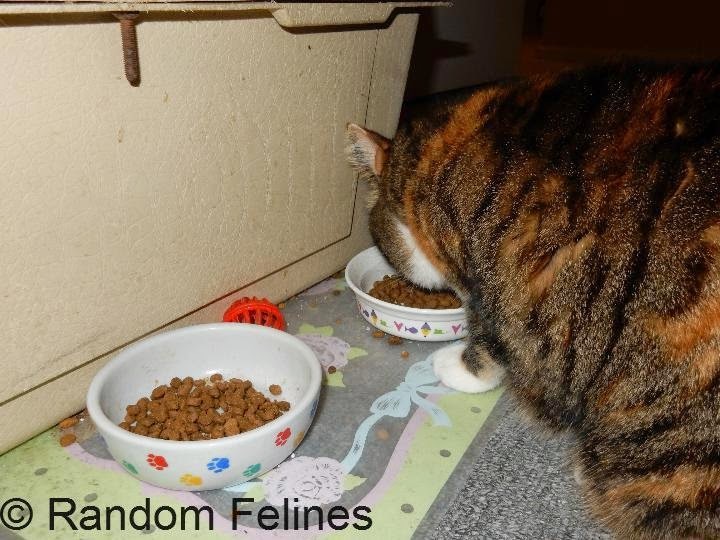 We got a sample bag of Fish and Fowl dinner dry food, cans of chicken, turkey and seafood (separate cans MOL), and a bag of vitamin treats. Plus there was a book for mom and a tote bag too. Daiquiri of course had to check out the box when mom opened it. Quality control and all that. Mom tried the vitamin treats out. While we tell people there isn't much we won't eat, these weren't a big hit. 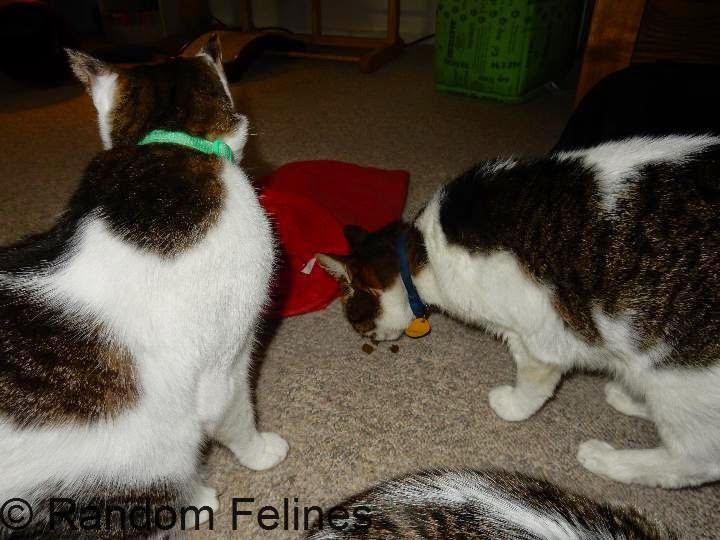 As you can see below, Mo ate them as did a couple of the rest of us, but for the most part we weren't too interested. Mom isn't sure if it was the texture or the size....they were a little big. 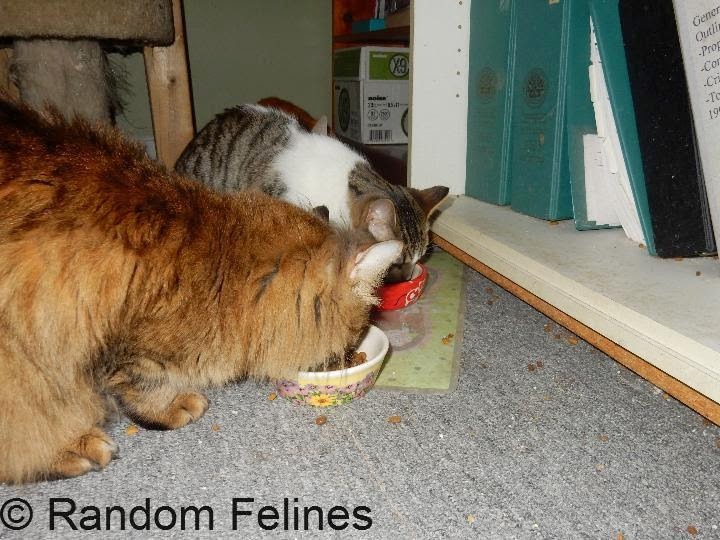 Mom took the canned food in and let Strawberry and the kittens taste test it for us. They loved it. All three flavors were a hit. It is all pate style. Mom said it all smelled like it was labeled....so we guess that is a good sign. Our taste testers give it 4 paws up. Mom wasn't sure what we would do about the dry food. We have been eating the same brand for many years. There was some preliminary sniffing and then everyone dug right it. The pieces are a nice smaller size. It doesn't go on sale until April but mom is interested to see the price listed. She has been thinking about switching us to something else but price is an issue around here. But for taste and ingredient list, this was a hit. 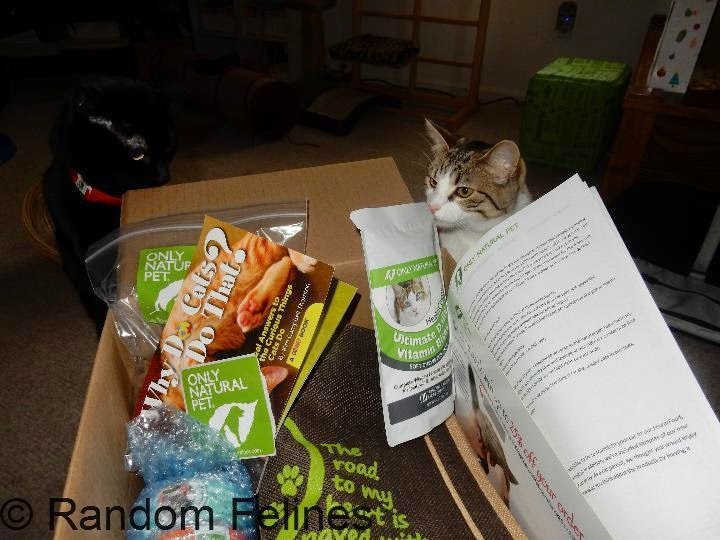 We want to thank Only Natural Pets for giving us a chance to taste test their products. 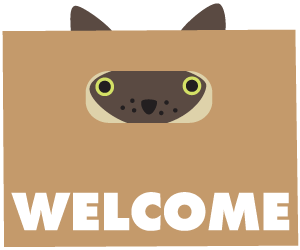 They also sell other items for cats and dogs on their website - which is easy to navigate and mom spent some time wandering around. 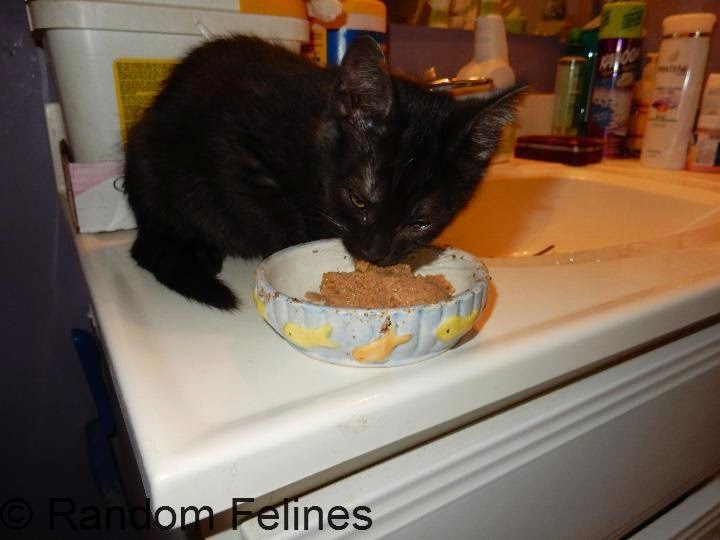 They have a wide assortment of items from food to litter to treats to toys and trees. Free shipping over $79 and flat rate shipping on everything else. Plus you can set up a repeat order so that you don't have to worry about your humans forgetting to shop. Great review. 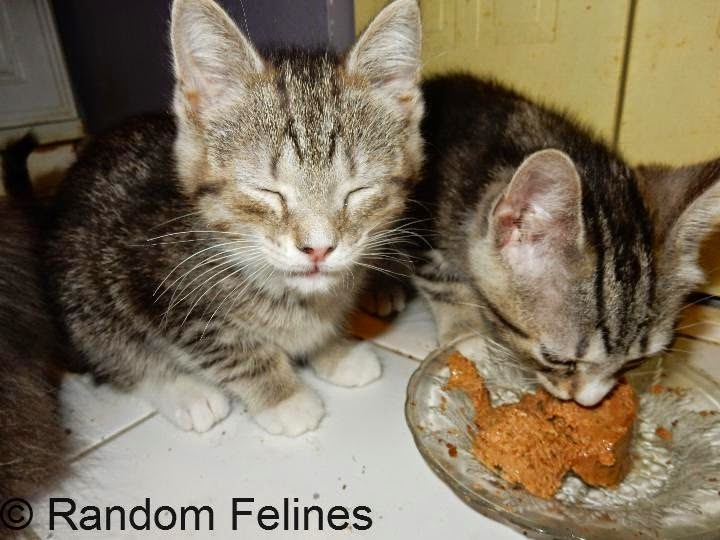 We liked the dry kibble, but aren't as thrilled with the canned food. The canned food looks tasty! It sounds like really tasty stuff! We'll have to try out the canned food when it's available. I wouldn’t eat the treats either but I don’t like soft treats. I havent gotten the paté yet cos I’m fussy about wet food. I love the kibble! TW was thinking about buying it for me too but doesn’t like to pay postage. I forgot to mention that TW almost cried when she saw that blue fishie dish cos that was Nicky’s dish. She said they crack very easily. We loved the PowerFood! But the canned food...not so much. That food sure does look nommy! Thanks for giving us the low-down on it! This company has a great reputation for both cats AND dog products. Thanks for the kitty review.